Keno is one of those online casino games that is easy to play and a whole lot of fun. There is no skill involved as this is purely a game of chance. It is more like a lottery or, for that matter, like a game of bingo, though it has its own unique features. The rules are simple and that makes the game not just interesting but also exciting. Keno is available for real money play at quite a few UK online casinos. However, lack of preparedness and understanding of the game can cost you wins. A better way, if you are new to the game, is to play the game in free play mode. This gives you a chance to test out the game without spending money. Any rounds you lose are at no personal cost. All the while you get the actual feel of the game in the online casino setting. Whether it’s because the game is so simple to understand and play or due to the similarity it holds to the classic lottery game, Keno is a widely popular pastime activity in both land-based and online casinos. The game of keno has an incredibly high house edge and is primarily based on chance. This means there is no amount of skill involved that can alter the odds in any way. However, this does not discourage millions of players attempting their luck at this truly exciting game. Keno is a lottery-type casino game that originated from China where players can blindly predict the numbers that will come up and, if their guesses are correct, they will win. In this article, we will uncover the origins of keno and its history, learn how Keno was introduced to the world and how its flourished online, have a look at the terminology used in Keno, understand keno rules, and how the game is played. I will also provide a few tips and strategies to assist you while playing the game, and offer fun facts and frequently asked questions surrounding the game of keno. The word keno is thought to be of French origin, or possibly even Latin. One look at the words from these two languages – Quine in French and Quini in Latin – would be enough to put all doubts at rest. The game was invented at a very crucial period and in fact apparently helped save an ancient city during a war. The game was instrumental in raising funds for the construction of that amazing Wonder of the World – The Great Wall of China. There are other facts to be taken into account as well: some of the games were organized in ancient Chinese cities and the results were sent to far away villages – where people had participated in the game – via carrier pigeon! This was what gave the game its Chinese name – baige piao or ‘white dove ticket’. In China keno was played with sheets containing Chinese characters. These characters were usually the first 80 characters of the Thousand Character Classic. The origins of keno stretch back more than 3,000 years, making it one of the oldest casino games in the world. It all began around 200 B.C in China, during the transitional period of Chou Dynasty, lasting from 1122 B.C until 256 B.C, to the Han Dynasty, lasting from 206 B.C until 220 A.D. China, at the time, was not yet a solidified nation being ruled by one central government and basically consisted of several cities-states ran by generals constantly in conflict with their neighbours. One of these Chinese generals was the famous Cheung Leung, and he was in desperate need of finances to successfully build his army and to fund his continuous battles. His citizens were becoming increasingly hostile and refused to pay more taxes. Cheung Leung was also aware that if he couldn’t find additional funds, the barbarians would eventually overrun his kingdom. He developed an idea to build a massive wall that would separate his kingdom from the approaching barbarians that were attacking from the north. However, he was yet again faced with the question of how to obtain the necessary funds to complete this task. To obtain the required funds, Cheung Leung devised a lottery type game to generate the necessary revenues. His game was initially based on the first 250 characters but was later reduced to 120 characters of the famous poem known as the ‘Thousand Character Classic.’ Emperor Wu ordered the poem between 549 B.C and 502 B.C and the composer Zhou Xingsi and calligrapher Wang Xizhi finished the work. It is also believed that Confucius and his trustworthy disciples were the original authors of the famous poem. The poem was originally used to educate children in reading and writing skills. Cheung Leung’s game was conducted by utilising a ticket that contained these 120 characters spread over eight rows with 15 characters on each row. Players had to use a brush to mark the characters on a ticket to guess five or more out of 20 that were randomly selected by the famous general. Cheung Leung would then randomly draw 20 characters once he received all the tickets to form a winning combination. Some players tend to believe that the origins of keno are made up, as the game could have an entirely different historical origin since the game has both French and Latin origins. 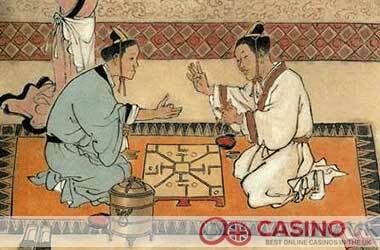 In Latin, the word means ‘five each,’ and in French, the word means ‘five winning numbers.‘ However, most players see this historical account as the truth, seeing as the game was extremely popular in China during the 18th and 19th century before it spread to the rest of the world. The design and concept of the game remained the same for over 20 centuries, and it was only during the 19th century that the game was introduced to America by Chinese immigrants in its pure Chinese form. The game was brought to the Western countries by Chinese immigrants who came to help in the construction of the First Transcontinental Railroad. The game became popular over the years and by 1866 was found in Houston, Texas. The game was given the name keno by then. An online keno ticket with a grid containing the numbers from 1 to 80. A slot at the left that gives you the payout for the number of digits selected. A slot on the right that shows you the number of digits matched per round. New Game: To start a new game. Play: To get the game started. Gets activated once you have selected the minimum number of digits to start a game. New Game: To start a new game. This game appears in place of the Play button once a game comes to an end. Max: The Max button selects the maximum rounds and coins simultaneously. Round: Helps you select the number of rounds per game. Bet: Helps you select the maximum coins to bet. Quick Play: Becomes active when you click the Max button. You have to click this button to activate the Play button when playing in Max mode. Online keno is simple to play. The steps are listed below. Choose the right casino to play this game in. Sign up and ensure you have funds in your casino account. Head to the Games tab and click Keno. Select the number of rounds you want each game to last. The maximum is usually 10. Select the number of coins you want to bet. This also has a maximum limit of 10. The payouts for the number of rounds selected, and also the number of digits you need to get as a match, are listed out on the left slot. Select the numbers from the 80 seen on the grid on-screen. The numbers get highlighted on screen. You can deselect a number by clicking on it again. Click the Play button. The game continues to play for the number of rounds selected. With the arrival of Chinese immigrants in the United States to work in mines and assist in building the railroads, Chinese communities were the birthplace of the history of keno in America. The game of keno was known as the ‘Chinese Lottery’ and was initially confined to the Chinese population. San Francisco had the biggest keno action at the time, along with other big cities where Chinese communities were situated. It wasn’t long before the game grew in popularity amongst Americans, but the Chinese characters created confusion as Americans were unable to distinguish the characters that hit and those that missed. To make the game more simplistic and acceptable for Americans, the original 90 characters were changed to Arabic numbers ranging from 1 to 80. Players had to match five or more numbers from the 20 randomly selected numbers to win a prize. The payoff was 2 to 1 for correctly guessing five numbers and 3000 to 1 for correctly guessing ten numbers. Keno’s legal status was questionable, and this led to the game being enjoyed around the law, played outside Chinese centres until Nevada legalized gambling in 1931. The Nevada Gambling Act of 1931 was the turning point in the history of keno as the game could be enjoyed openly without the need to look over your shoulder each time a bet was placed. 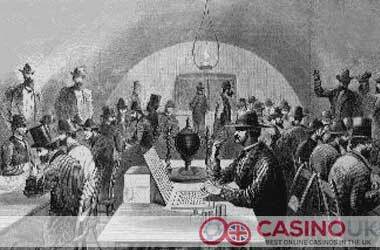 Almost every existing form of gambling was legalized by the 1931 Gambling Act, but lotteries, including the ‘Chinese Lottery‘, were still seen as illegal. Casino owners tried their best to argue that the game of keno was not a lottery, but rather a banking game as the mechanical device known as a ‘goose’ was introduced. The term ‘goose’ derives from a time when keno was a little fancier and less high-tech, consisting of a spherical rotating cage along with an opening where numbered balls rolled out one at a time. Gambling authorities did not buy into the argument, and instead of arguing with them further, casino owners decided to simply fool the law. They attempted to disguise the game of keno as a form of horse racing, assigning horse names to the 80 different numbers found on a keno ticket. To make it more believable, they called the game Race Horse Keno. They succeeded in their quest, and the bureaucrats of gambling in Nevada accepted the game of keno. Due to the new name, keno drawings were referred to as races, and this is a term still used today. Warren Nelson was the first man to introduce keno to Nevada. He used to run an illegal keno operation in Montana during the 1930’s, and as soon as he heard about the legalization of gambling in Nevada in 1931, he introduced keno to Nevada by opening the very first keno game at the Palace Club in Reno during 1936. 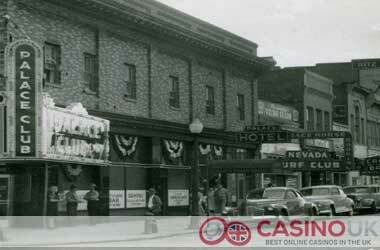 Shortly after, Joe Lyden opened the first keno game in Las Vegas at the Fremont. The next exciting twist in the history of keno occurred during 1951 where Race Horse Keno ran its final mile. During 1951, the United States government passed the law to tax off-track betting. Since Keno was ultimately sold as a horse racing game instead of a lottery, it was subject to the new tax laws. To avoid extra money being paid for the privilege of operating the game, land-based casinos removed the horse names from their keno tickets and returned to the original tickets that were utilised prior to the legalization of the game. Yet again, they succeeded in their quest. Nevada’s gambling authorities weren’t even bothered, as no one could remember that the game was initially illegal 20 years earlier and because the game looked like a lottery game and not a horse racing game. During the early 1960’s a few important rules were implemented that greatly affected keno players. Firstly, the IRS required keno players to immediately collect their winnings as soon as the game ended, and if they did not collect their winnings prior to the start of a new game, their winnings would be voided. Furthermore, players had to be present during each game and couldn’t play their tickets in advance. Secondly, the Nevada Gambling Commission established that a minimum price of 60 cents was required for each ticket along with a maximum payout limit of £19,745. During 1970, the minimum price per ticket was increased to £1, and the pay-out limit was raised to £39,490. However, casino owners still wanted to provide larger jackpots, and in 1989 the limits to jackpots were removed, and that’s the way it’s been to this day. With the boom of the internet during the mid-1990’s, online casinos were soon introduced to the world and brought along with it the initiation of online keno. Due to the game of keno essentially being computerized in land-based casinos beforehand, the software for keno was almost instantly familiar to online players. The transition of keno from land-based to online casinos was painless and enormously successful. Today, Keno has become one of the most popular casino games in the online gaming industry, and due to its ease of play and the thrilling suspense generated in every round, it continues to grow in popularity across the globe. Online keno is enjoyed in a very similar fashion to the original keno game. There’s a board displaying 80 numbers, and a player simply needs to choose up to 15 numbers. Thereafter, the computer will randomly select 20 winning numbers and compare them to your selected numbers. Online keno also doesn’t demand too much attention whereas, in the physical keno games, you might have had a winning ticket but due to some mistake or another, you were unable to cash-in your winnings. With the online version of keno presented in online casinos, the game will automatically compare your numbers and immediately credit the winnings to your account. Another entertaining form of online keno is its tournaments. Players are given a specified amount of time and a certain amount of credits they get to play with every day. At the end of the specified time frame, usually lasting several weeks, the player who accumulated the most credits is the keno tournament winner. Online keno also presents much larger tournaments, and the tickets are much cheaper than those in land-based casinos. Regular Online Keno: These are among the most commonly found keno games at online casino games. The games are fun to play and are basically the games we are discussing in this page. Video Keno: This is another form of online keno available today. The game resembles an online slot game in appearance. It is a game that you play alone; you cannot play with other players. Progressive Keno: This is a type of online keno that you find at some of the online casinos. There are different progressive keno games; one example of this kind of keno is Football Keno Progressive. Power Keno: This is a keno game from Australia that allows you to pick up to 20 digits. The game has one extra feature compared to the regular keno game: if the last digit drawn matches one of the digits the player chose the winning amount gets quadrupled. Super Keno: This is a bit like Power Keno except that the quadrupling of the win amount happens if the digit that matches the player’s pick is the first one. Way Keno: This game gives you more than a single way of winning. You can choose different groups of numbers. The different groups need not have different numbers; the numbers in each of these groups could be identical. Combination Keno: This is like Way Keno except for one advanced feature: you can combine the number groups in a variety of combinations. These 2 values are then multiplied by the proportion of your bet to the base rate of the pay table. The more numbers you choose and the more you hit, the higher the payout becomes. The more numbers you choose the harder the chances of scoring an all-win or all-numbers-match win. The number of digits and rounds you can choose is flexible usually, the maximum being anywhere up to 20 in some casinos. Most casinos, however, have a top number of 10 or 15. Given this scenario, the chances of you hitting all the 20 numbers correctly are 1 in 3,535,316,142,212,174,336 (approximately 3.5 quintillion). For a single digit it is 3 to 1 against the possibility of hitting. For 2 digits it is 16 to 1 against the possibility of hitting. For the possibility of hitting 9 out of 9 or 10 out of 10 the numbers are stacked too high; enough to make it seem a mathematical impossibility. Playing online keno is fun especially because it is not a skill-based game. However, while whether you win or lose depends on your luck, there are a few tips that you can use to maximize your gaming experience and ensure that you do not lose too often and instead increase the frequency of your wins. 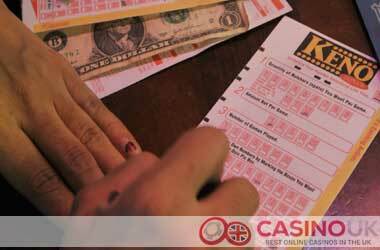 Here are a few tips for you that can help better your chances of winning at online keno. Zero in on the right casino. This is important from the point of view of payouts. It makes sense to find an online casino where the payout percentage for a keno game is higher than what you get at some of the other online casinos. A high payout percentage means a direct reduction in the house edge, which means a better chance of scoring wins. All you have to do is take a look at the audits of the payout percentages at the casino: all the top UK online casinos usually post these numbers right on the website. Get used to playing the game. You need to get used to the flow of the game when playing online keno. Playing directly for real money may leave you exposed to repeated losses. A better option is to try out the game in free play mode. This gives you an idea of the game and also the way it works. Take care while choosing your numbers. Choosing your numbers is an important step. Ensure you do not pick too many numbers. The more the numbers you pick, the lower the chances of your winning. An optimal pick is may be 5 to 6 numbers. Check the number pattern before picking. It makes sense to check the patterns of the numbers that are chosen for the win. Consecutive numbers may be a good option because a number of times consecutive numbers end up getting picked, even though the order may vary. You may also want to pick numbers that have not been scored. You may want to pick a lucky number, your birth date, or a number which has some significance for you. This has its own charm but may not be the most practical approach. Consider using multi-race cards. A multi-race card is a good option to consider. They are available at most online casinos for UK players. This is a good option because you can select the number just once and yet use the card for more than one game. It saves you the hassle for purchasing cards each time. You can greatly increase your knowledge of keno with the phrases and terms, as well as the meaning of the words, utilised in a game of keno. Below, I have included every keno term used in land-based and online casinos. All or Nothing: This comprises of a ticket that will only pay out if all numbers you selected were drawn, or if none of the numbers you selected were drawn. Blank: This is a keno ticket that is unused. Blower: This forms part of the machine used to dispense balls in a land-based casino, utilising air to force each ball into a tube that will then be removed by a keno operator. Bowl: This also forms part of the ball machine collecting balls when the blower is switched off. Buy-in Tournament: Players are required to pay a participation fee for a keno tournament whereby they can play a certain number of tickets or games and keep any winnings made. Cage: This is a wired cage to hold keno balls in a land-based casino. Catch: A marked number on a keno ticket is known as a catch if announced during a game. Catch All: This is a keno game that requires a player to catch all umbers marked on a keno ticket. Catch Zero: This is a keno game that requires a player to catch none of their numbers marked on a keno ticket. Combination Ticket: This is a single keno ticket with several different keno wagers on it. Deuce: This is when twospots on the keno board are grouped together. Draw: This is known as a group of 20 numbers that are drawn from a game of keno. Edge Ticket: A keno ticket that is marked has 32 numbers around the outer edge. Enhanced Payoff: This occurs when a bigger payoff is possible while playing a combination of keno games on a single ticket. This will pay more as opposed to games being played on a single ticket. Exacta: This is a ticket used for two games offering special payouts. Fractional Rate Ticket: This is a keno ticket used for a fraction of the original rate, usually used on a way ticket. Group: These are sports separated or circled from the other marked sports on a keno ticket. High-End Ticket: This is a ticket paying more when a high number of spots are caught, but less when fewer spots are caught. King: A keno ticket with one number that is circled and is used in conjunction with other numbers. King tickets are marked similar to split and way tickets. Left-Right Ticket: This is a keno ticket with a vertical line running down the centre of the ticket and a player only needs to catch the numbers on one side of the ticket. Stud: This is a variation of keno where the top prize will increase until it is won. Split Ticket: This is a ticket comprising of two or more groups of numbers that are played separately. Spot: Numbers that have been marked on a ticket. Straight Ticket: A standard ticket in a game of keno. Top-Bottom Ticket: A keno ticket that has a horizontal line running across the centre of the ticket where a player only needs to catch the numbers on one-half of the ticket. Way: This is a separate bet on a keno ticket containing more than one bet. Way Ticket: This is a keno ticket with two or more bets. The objective of keno is to mark or spot a certain amount of numbers on a card and get as many numbers correct as possible once all the numbers have been drawn. 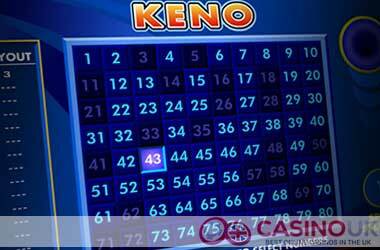 Keno can be played by purchasing a keno card at special booths located on the casino floor in a land-based casino. The keno card will consist of numbers ranging from 1 through to 80 and players will need to mark off up to 15 numbers or spots on their keno card. A player will state which of the selected numbers will come up in the draw. Thereafter, a random number generator will select 20 different numbers out of the available 80 and display them on the Keno board situated in the casino. Players will then check whether any of their selected numbers came up and determine if they caught enough for a payout. Winning players will then quickly need to claim their winnings as there is usually a limited time frame to do so. Pick button that will make a random selection normally consisting of 10 numbers. Players can also deselect a specific number by simply clicking on the highlighted number again. Once a player is satisfied with his selected, they can click on the play button, and the random number generator will pick 20 winning numbers that will be highlighted on the keno card. The software used in a game of keno will then automatically pay out all winning combinations. Players will also have the option to play the same again by simply clicking play, or they can start from scratch and select different numbers for the next game. It’s that simple. Keno is very similar to a weekly lottery game, but the biggest difference is that you can play Keno every second of every day. Although the game is completely random, there are still a few tips and tricks you can use to increase your chances of winning. Let’s have a look at a few tips that might just see you smiling all the way to the bank the next time you play a game. What is the return to player percentage for Keno? The Gambling Regulation Act of 2003 states that the return to player ratio for keno should be no less than 75% in land-based casinos. Why is the online version of keno different to the land-based version of keno? Online keno differs to the land-based version in several ways, all of which are to the player’s advantage. There are two major differences between the two versions. Firstly, online keno offers far better odds than the land-based versions. Keno in a land-based casino has a very high house edge, and although the pay tables vary depending on where you decide to play, these games normally offer between 60% and 80% in return. This means the casino has an unbelievable 20% to 40% house edge. However, when playing keno online, the house edge is set between 5% and 10%, giving you far greater odds of winning. 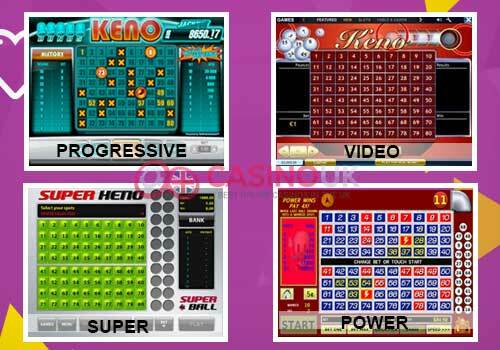 Secondly, when playing keno online, you will have more control over the speed of the drawings. Land-based keno games might occur every 5 to 10 minutes, while online keno provides instantaneously. The amount you will be able to win will greatly depend on how much you are willing to wager, and on a number of numbers you choose in every game. 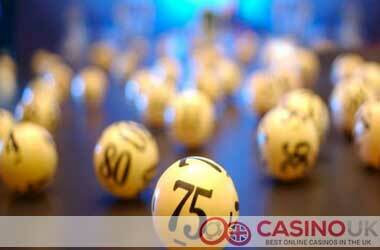 At most online casinos, you can wager anywhere between £1 and £10 on every draw. If you wager the maximum amount of £10, select up to 15 numbers, and hit every single number you selected, you will walk away with an unbelievable £100,000. You will also be able to play fewer numbers and still win a decent amount of money. For example, hitting 10 out of 10 numbers can earn you £1,800 in winnings by only betting £1, or £18,000 on a £10 wager. Do I need to hit all my selected numbers to win while playing keno? Absolutely not. If you manage to hit just a few of the selected numbers, you will usually win a consolation prize. Keep in mind however that should you only pick one or two numbers, you will be required to match them to be a winner and score a prize successfully. But, if you selected up to 15 numbers and only managed to match five of them, it will still be enough to get your wagered money back.